Famous landmarks in Lucca include the Duomo (cathedral), Baptistery, Opera House, Piazza Napoleone, and the Lucca City Walls (ramparts). Other top attractions are the Botanical Garden, historic mansions, city gates, fine restaurants and a couple of museums. 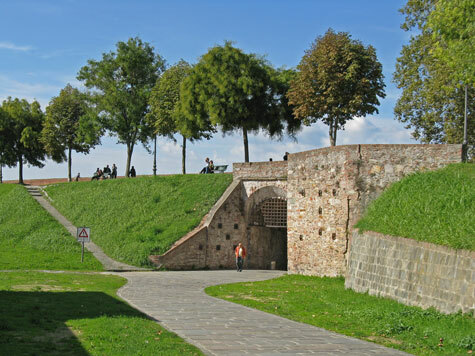 Visitors can find accommodation in the Lucca town centre or near the international airport that serves Lucca. The Lucca Central Train Station is located at the gates of the walled city. There is a large international airport near Pisa.